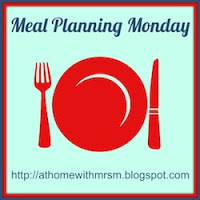 This week I'm trying a "food chain" from Becky Thorn's book The No-Waste Meal Planner, which I shall do a separate blog post on some time. I also managed to lose a little more weight last week - just half a pound - so hope I can keep it up now things are back to normal,i.e. my boyfriend is well enough to come over and for us to eat out again. Dinner Choir rehearsal so I will take a snack and I've got some crumpets in the fridge for when I get home. I've also got a lot of pancake/waffle mix left. Dinner With my boyfriend. Arancini with tomato sauce and garlic bread, possibly followed by chocolate Mochi if I a) manage to get the main ingredient I need b) have time to make them c) figure out how to make them! Dinner At the youth club where I volunteer so I will take a snack and again if I want something hot when I get home I will have crumpets. Dinner Picnic food - I haven't decided what I'm making yet and I think the idea is that we all share.